Handwritten prescriptions can be easily forged. Existing digital prescriptions solutions rely on intermediaries between the physician and the pharmacy. They also require a single pharmacy be designated to fill the prescription and don’t enable real-time checking of physician licenses. Pharmacies can face major fines for filling forged prescriptions or prescriptions written by physicians with an expired license. 1) A medical board issues a digital license to a physician. 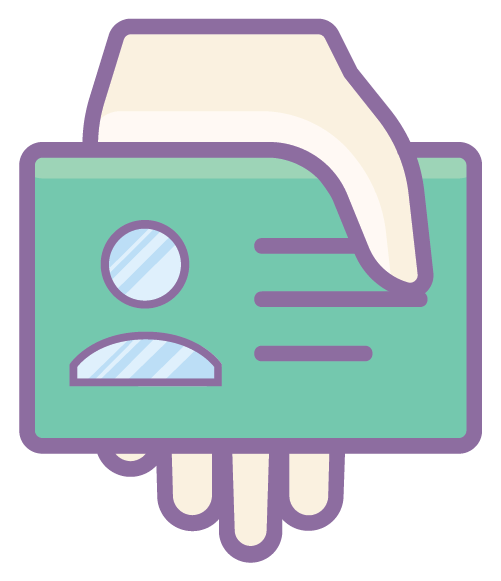 The physician stores the digital license in their digital wallet. 2) The medical board registers the physician license on that physician license blockchain with the status “valid”. 3) The physician issues a digital prescription to a patient’s digital wallet. 4) The patient presents the digital prescription to the pharmacy. The pharmacy verifies the authenticity of the digital prescription. 5) The pharmacy verifies that the physician issuing the prescription has a license that is up to date. 4) The pharmacy distributes the medication to the patient. 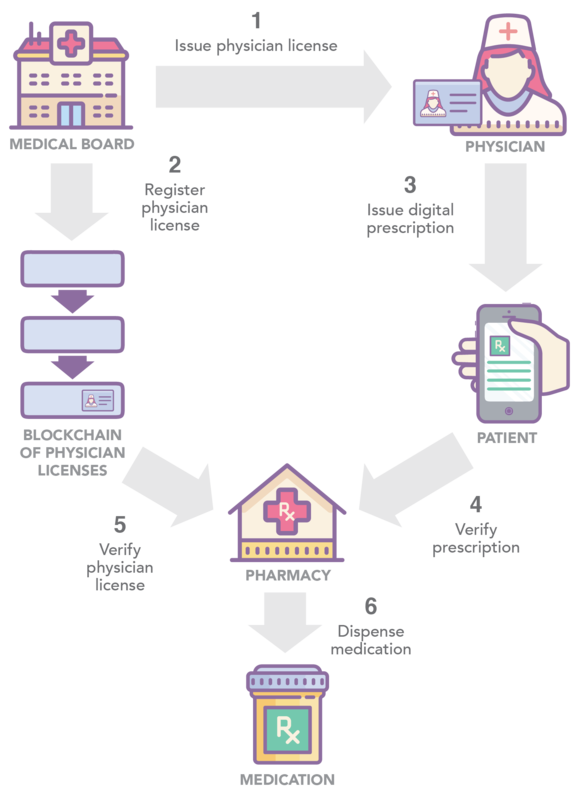 The data on a digital prescription is made tamper-proof through the use of advanced cryptography.